Do you feel like your time is constantly being hijacked by other peoples agendas? The Way of the Essentialist isnt about getting more done in less time. Its about getting only the right things done. It is not a time management strategy, or a productivity technique. It is a systematic discipline for discerning what is absolutely essential, then eliminating everything that is not, so we can make the highest possible contribution towards the things that really matter. By forcing us to apply a more selective criteria for what is Essential, the disciplined pursuit of less empowers us to reclaim control of our own choices about where to spend our precious time and energy instead of giving others the implicit permission to choose for us. Essentialism is not one more thing its a whole new way of doing everything. Its about doing less, but better, in every area of our lives. 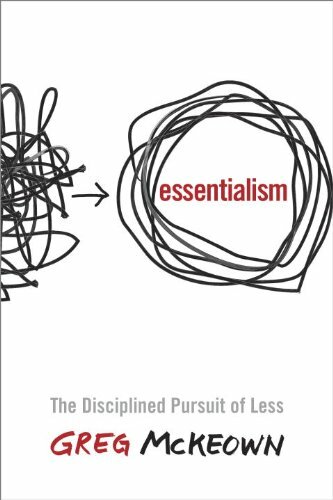 Essentialism is a movement whose time has come.